Honestly, I’m not sure why most people I see in data center facilities don’t use hearing protection. Perhaps they think they’ll only be on the data center floor for a few minutes. We all know it never goes like that! Perhaps they think it makes it too hard to hear co-workers. Personally, I find it easier to communicate with someone when I have ear protection on. Maybe workers think it’s not loud enough for ear protection to be necessary. Unfortunately, this isn’t true in most cases. As an example, I was recently down at the Sungard Availability Services colo facility in Philadelphia. It’s one of the largest colos in the immediate area with 230,000 square feet of raised floor. I was in there all day long with one of my customers, for two days while we traced out cables in several cabinets — a long over-due network connection inventory ahead of a major cleanup project and Cisco Nexus FEX deployment. 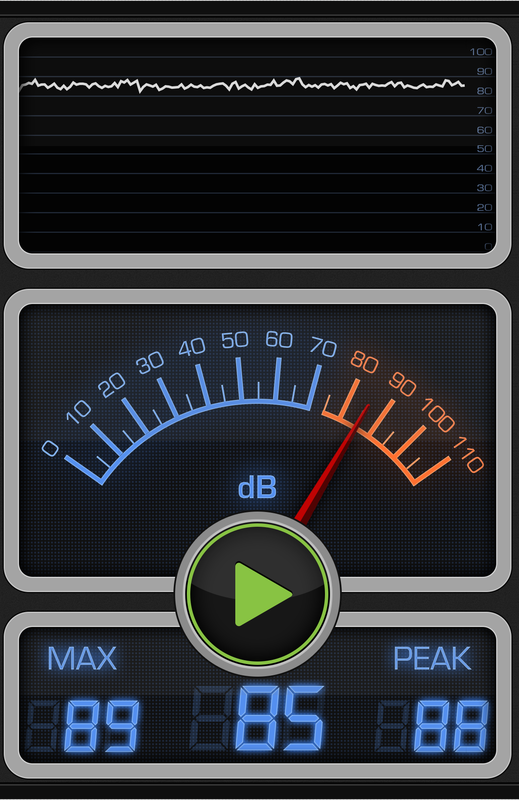 As you can see, the sound level was holding around 85 dB(A) with peaks several dB higher. This meets the threshold put forth by both OSHA and NIOSH for potentially damaging noise levels. Above 85 dB(A) of noise, the permissible exposure time is reduced to account for the greater overall energy in the louder noise. I then walked away from my customer’s cabinet and headed out toward the end of the aisle where large exhaust fans pull warmer air out of the room and took another measurement. Even louder. In fact, because dB SPL readings are a logarithmic scale, 87 dB(A) is almost twice as loud as the 85 dB(A) reading taken near the cabinet! IT professionals who spend long spans of time in data center environments could be doing permanent damage to their hearing by not wearing ear protection of some sort. And lest you think “ahh, but I don’t use a big, noisy colo, I have a smaller computer room in my enterprise office!” I took another measurement from the computer room in the H.A. Storage office, which houses a few pieces of office infrastructure, a couple SAN shelves, and a Cisco UCS chassis with all the trimmings (Fabric Interconnects, Nexus 5Ks, etc.). The sound wasn’t much better. This is technically under the OSHA and NIOSH limits for monitoring exposure time, but frankly, being so close to the limit I can’t imagine why anyone wouldn’t play it safe and wear some ear protection. Also, in case you’re wondering if smart phone apps are actually accurate for this sort of thing, NIOSH has evaluated that very concern and found that several apps meet performance targets to be used for workplace noise level measurements. For the record, I did baseline the app I originally took these measurements in against one of the ones that NIOSH found most accurate, and determined that the readings in the screenshots above track closely with one of the best rated tools in the NIOSH evaluation. Protecting your hearing in a data center environment is easy. Foam or baffled rubber earplugs are inexpensive and effective, typically reducing noise by 15-20 dB. And since most of the samples I took were only just over the established safety limits, even a 15 dB reduction in noise can make all the difference for protecting your hearing. Another option would be noise-canceling headphones, though I find simple earplugs to be less intrusive, particularly when working with someone else. Over-ear ear muff hearing protection is usually the most effective, but probably not necessary in a data center unless you’re working on the generator engine. Now, let’s be reasonable about this. If I’m running into a computer room or data center for 5 minutes to move a couple cables or whatever, I don’t bother. Even at the 85-90 dB(A) readings I’ve recorded so far, you’d need hours of unprotected exposure to risk damaging your hearing. But if I plan to be (or end up) in the data center for a more than a couple minutes, I always use earplugs. When I leave, I remove them and marvel at how quiet everything is. While everyone who didn’t wear protection continues to yell for 10 more minutes…. Some (really only one or two) of the most advanced data center’s I’ve visited have mandated hearing protection when out on the floor, but surprisingly the vast majority of colos I’ve been to do not. And I know of no enterprise that mandates hearing protection in an in-house data center (though there may be some out there). Still, that doesn’t stop me from voluntarily doing something to protect my body. It shouldn’t stop you either. Great stuff, Bob. We just went through a 3-month greenfield build in the data center, and none of us wore any hearing protection despite 10 hours per day in the din. Other projects are on the way, and my over-the-ear muffs will be in my bag for sure. Great post. Our small dc has a bin of them hanging off the wall when you enter. I always grab a few extra for plane rides too. Couldn’t agree more Bob. I always carry a pair (or 2) of earplugs for both the data center, as well as in-flight. I didn’t know there were apps to measure SPL either, will check it out and thanks for the post! Great post! I am all about hearing protection. I had some custom earplugs made while I was building facilities overseas and they are awesome. You always try to tell people about the hazards of not protecting your hearing but usually no one worries until it is too late. Absolutely. With the noise levels being *just enough* to cause damage, it’s pretty easy to overlook it, but those of us that spend a few days per month (or more) in a data center environment can certainly experience a compounding effect over years.